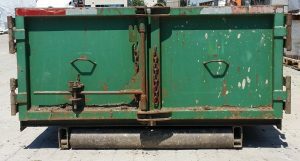 We offer Disposal Bins of varying sizes in order to remove the soil, concrete or garbage you no longer want! Our bins are equipped with rollers on the back of the bins in order to help prevent damage to driveways. We do not use the conventional roll-off bin system, instead we use a hook-lift system that picks bins up into the air instead of dragging them along the ground. All bins have barn doors on the back that swing open for easy entrance and loading. Please note that we will not place bins on city streets without a permit. For more information on City of Toronto permits, please click here. Soil, concrete and asphalt bins are strictly one material only, we do not offer bins for mixed materials. These bins are a flat rate which includes drop-off and pick-up. These bins are to be filled only to the height of the bin, we do not accept bins which have been overloaded past the top of the bin. Overloaded bins will result in additional fees or the inability to pick up the bin until the extra material has been removed. Garbage bins are subject to both a rental fee and a disposal fee. The disposal fee is determined by the weight of the bin after the bin contents have been disposed of. For these bins we require a credit card be given and kept on account to charge for the disposal of the bin. Restrictions: You are not allowed to put the following items in these bins: Tires, Batteries, Paint Cans, Hazardous and Biohazardous Waste, Propane Tanks, oil cans or Asbestos. 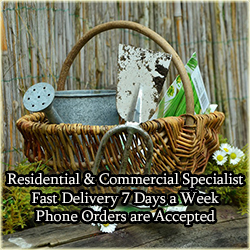 We also accept small loads of soil OR concrete OR asphalt for a fee, depending on the volume of the load. Please note we do not take mixed loads or garbage for dumping.